Trump uses London attacks to promote his Muslim ban. 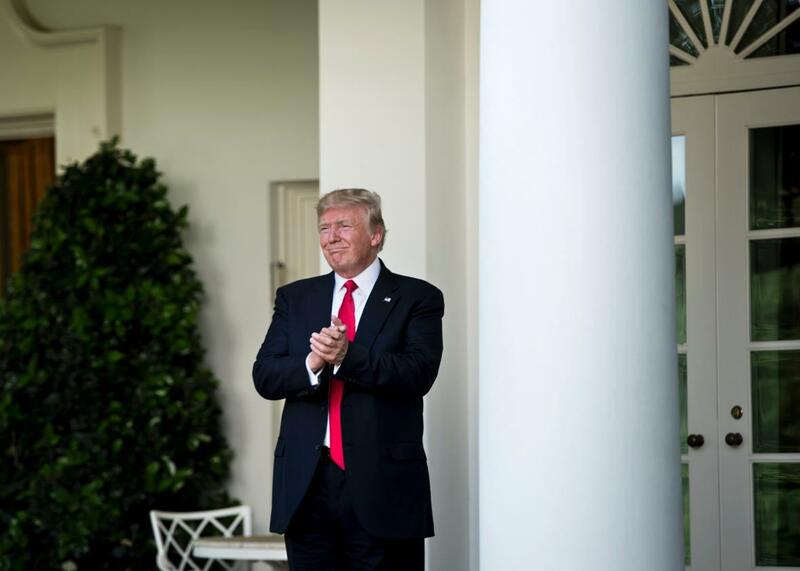 President Donald Trump leaves after announcing the U.S. will withdraw from the Paris accord in the Rose Garden of the White House on Thursday. While chaos and tragedy unfolded in London on Saturday night, President Donald Trump took the opportunity to promote his Muslim ban. As the situation on the ground was still unclear, the commander in chief wrote on Twitter that the country needs “the Travel Ban as an extra level of safety!” Trump’s call came days after his lawyers called on the Supreme Court on Thursday to reinstate the ban that prevents entry into the United States by people from six predominantly Muslim countries. Earlier, Trump retweeted an unverified claim from the Drudge Report that alleged the van had mowed down 20 people on London Bridge. The situation was so unusual that NBC News sent out a tweet questioning the credibility of the reports the president had passed along through his Twitter account.